Q And Answer: What’s The Difference Between A Suit Jacket And An Odd Jacket Or Sportcoat? Mike from Michigan asks: You shouldn’t wear a suit jacket without its matching pants. I understand the rule, but why? What’s the actual difference between a suit jacket and a blazer or odd jacket? What about odd vests? Wouldn’t they almost always come from a three piece suit? Suit jackets and odd jackets are very different beasts. A suit jacket is more formal, and generally designed for business. That means harder, smoother finishes on the fabric (typically worsted wool), more sober colors, business patterning (like pinstripes or chalk stripes), and buttons that roughly match the color of the jacket. 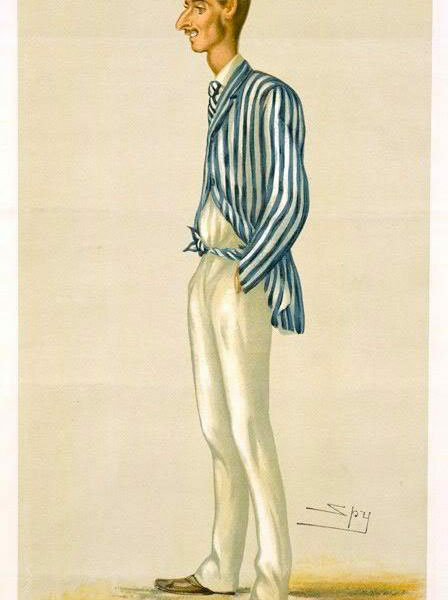 In contrast, odd jackets are more casual – they’re often called sportcoats because they were originally worn for sport. Patterns and colors can be much bolder. Fabrics are usually more textured. For blazers, the fabric may be solid in color, but there is often significant texture, and almost always contrasting buttons (be they metal, horn or even white mother of pearl). 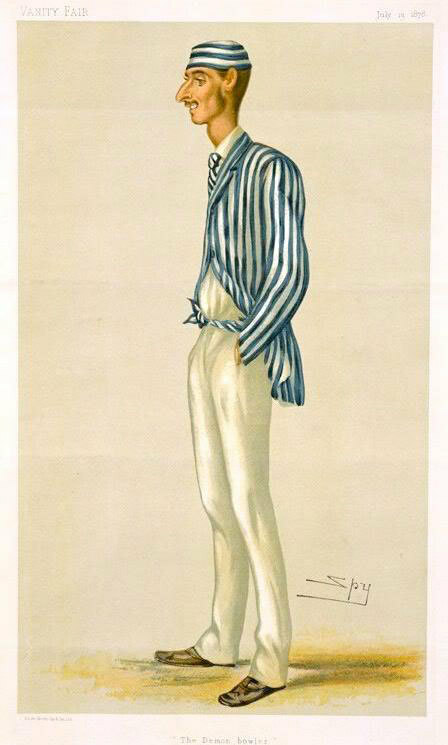 You won’t see stripes on an odd jacket unless they’re the stripes of your boat club and you’re bound for the regatta (like the fellow pictured above). There are some suit jackets that can be worn as odd jackets, but if you want a general rule – just don’t do it. Sometimes a bold country suit – say in corduroy or tweed – could be separated, for example. Cotton or linen suits can often be separated as well – think of their natural textures as a “goes both ways” feature. Of course, you then run into the problem of your pants and jacket soiling and wearing at different rates, which you don’t want. As for odd vests or waistcoats… they certainly can be purchased individually, particularly in the UK. Generally speaking, wearing an odd vest is such a bold statement that it should only be undertaken if you live across the pond, or if your personal inclination is towards the dandy. Tattersall waistcoats have a long equestrian history, but otherwise most odd waistcoats are in solid, contrasting colors. 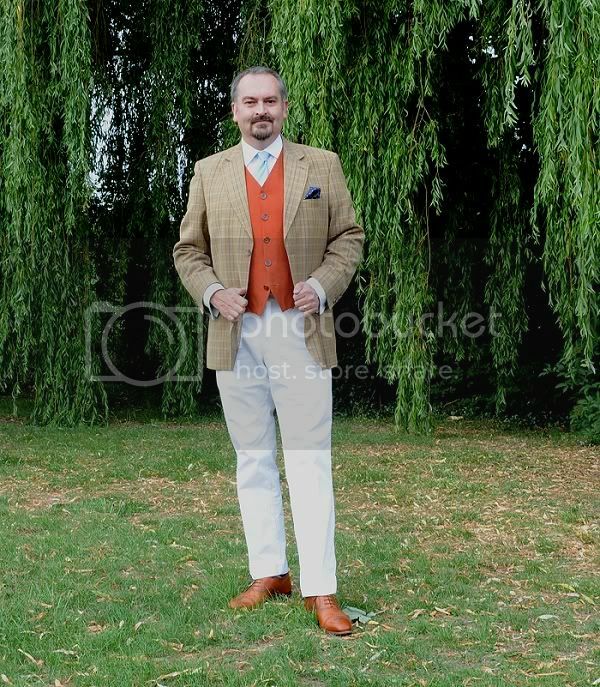 The StyleForum member ManOfKent is a great example of how they’re worn.